Prior to 1978, copyrights lasted only 28 years, with the option to renew them a single time for an additional 28 years. Then in 1978, Congress, under the guidance of companies such as Disney, extended copyrights to last the life of the author plus 50 years. That is what the rest of the world has today. But in 1998, Congress once again, at the bidding of companies like Disney, extend copyrights to last life plus 70 years for human authors and 95 years for corporate owned copyrights. This pushed the US out of line with much of the world and works in the US won’t start entering the Public Domain until 2019. Each year, Duke Law School’s Center for the Study of the Public Domain writes up an article talking about all this and then lists a bunch of stuff that could be entering the public domain if copyright terms had been left untouched in 1978. Some of their examples include Green Eggs and Ham and One Fish, Two Fish by Dr. Seuss, To Kill A Mockingbird by Harper Lee, Hitchcock’s Psycho, Ocean’s 11, Spartacus, and many more books, movies, tv shows and music. Video games are in an unique area of copyright. 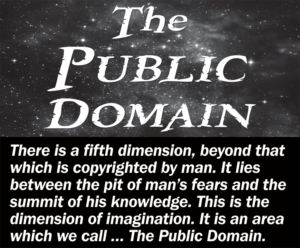 There has never been a time in which video games have ever been in the public domain. Even the earliest video games had their copyright terms automatically extended to their current terms. The earliest known game, Tennis For Two, won’t enter the public domain until 2053. This copyright situation for games has left this industry in kind of a bind when it comes to preservation of our history. Had copyright terms not been extended in 1978, we could theoretically see quite a few popular games from the Atari and the NES and other early game systems enter the public domain today. Taking a look at games published in 1988, we see the following games that could have entered the public domain. Of course that is not a complete list but only a list of some of the more common games of that year. You must also take into account that many games were developed by companies still in existence and many of those companies would have renewed the copyrights to the second 28 years. However, there are many games from that year and earlier that would have gone unrenewed due to a variety of reasons. All this is just a thought exercise mixed with wishful thinking though. None of these games will enter the public domain in the lifetimes of those who played them when they first came out. None of those games from 1988 will enter the public domain until 2083 and those released in 2002 won’t enter the public domain until 2097. I know I will likely be long dead before either of those years roll around. By the time those games finally do reach the public domain, most people will likely be playing games in fully immersive Star Trek style holodecks and will likely not have any interest in 8-bit video games from nearly 100 years prior. What a waste. I really can’t see any argument for the term of copyright being any longer than slightly more than the author’s life. That lets them profit from it as long as they’re alive, and as long as it’s a couple years past their death, it doesn’t create a perverse incentive to kill them so their work will enter the public domain. Making it 70 years after their death means that its profiting not only them, but their descendants down to their great grandchildren. Who goes out and does a day’s work creating something, but would think twice about it if told that their great grandchildren might not be able to make money off of what they’re doing? Obviously, I know the real reason for this is that a very small number of companies are still making money off of ancient copyrights they don’t want to expire, but I really wish the government wouldn’t let them win out at the expense of everyone else. THIS POST TERMINATED BY THE AUTHORITY OF THE GEHEIME DISNEYPOLIZEI. MOVE ALONG, CITIZEN. While I can understand arguments for extended copyrights, even something as simple as the life of the author can go against its original purpose. The purpose of copyright was intended to be an incentive to create and not a retirement plan for authors and artists. It especially wasn’t meant to be a licensing a lawsuit cash cow for author and artist’s great great grand kids and their lawyers. I think that the 28 years +the option to renew for another 28 years was probably the sweet spot of not too long and not too short to make people upset. As for a murder incentive, I don’t think copyright in any form would incentivize murder. You would have to point me to anything that would lead you to believe that is the case. To me, if copyright holders want to build a nest egg for their great great grand kids, the way to do it is to properly invest it and will the proceeds like the rest of us pleebs. As for the current excessive terms, it is precisely because of large companies like Disney. They demand to have their copyrights extended and then throw in the extension for people as a way to make their own greed seem benevolent.